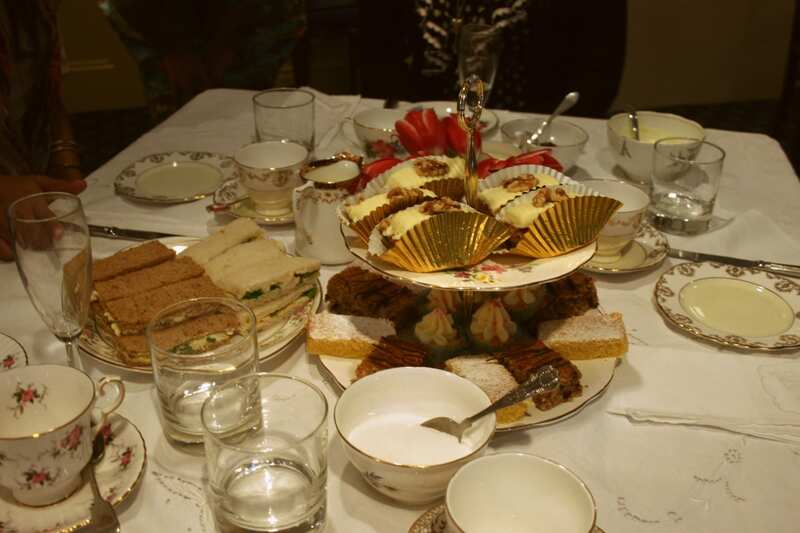 The Secret Tea Party is a new-ish event held by Mrs Stokes, the one we went to was the second event. We were greeted with a glass of champagne – always a good way to start the afternoon! 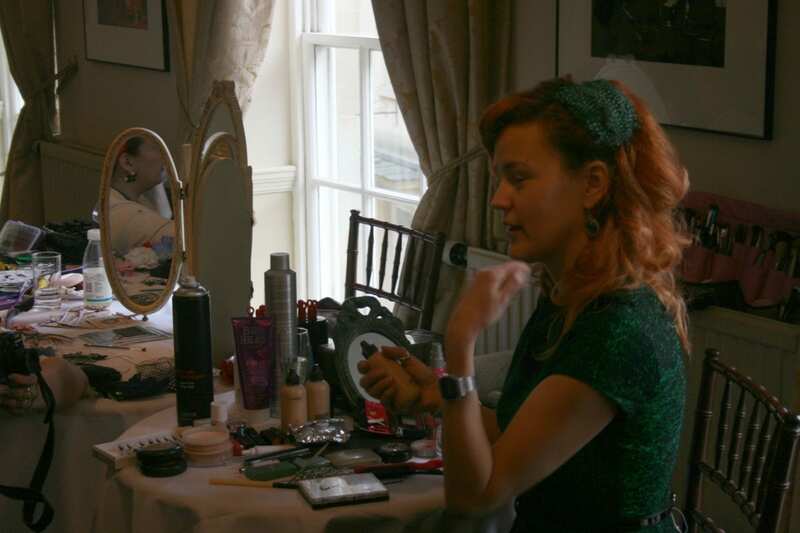 Inma from the Pop Up Parlour gave a demonstration about the style of makeup that was done in the 40’s, which was quite interested to me because this is the era that I prefer. Ah yes, tea. The most important part! Ally and I were seated on a table with three sisters from Bristol – who’s names I’ve forgotten (I am USELESS with names, seriously) which was nicer than being on individual tables – this way you were forced (in a good way!) to talk to other people! One of the ladies on our table had her hair done for a masquerade ball she had to go to on Saturday night. 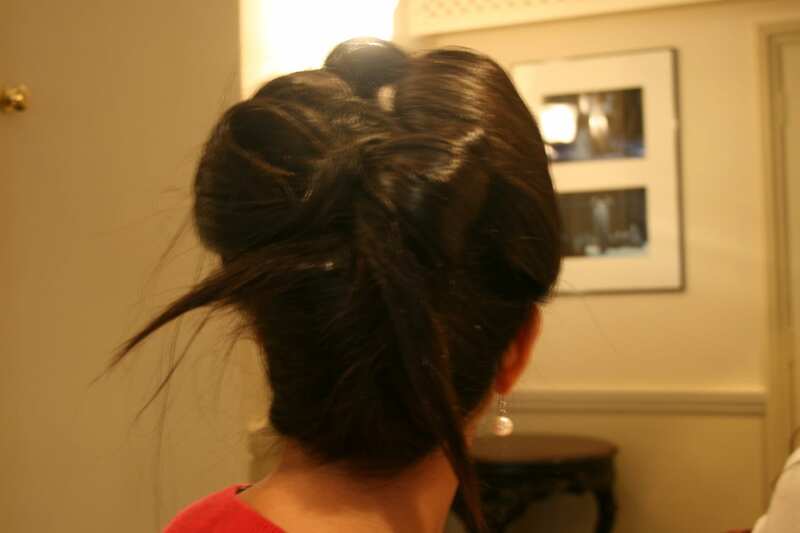 I loved this hair – its not the best photo (hair is always so difficult to photograph!) but her hair was put up and tied into a bow. Gorgeous! 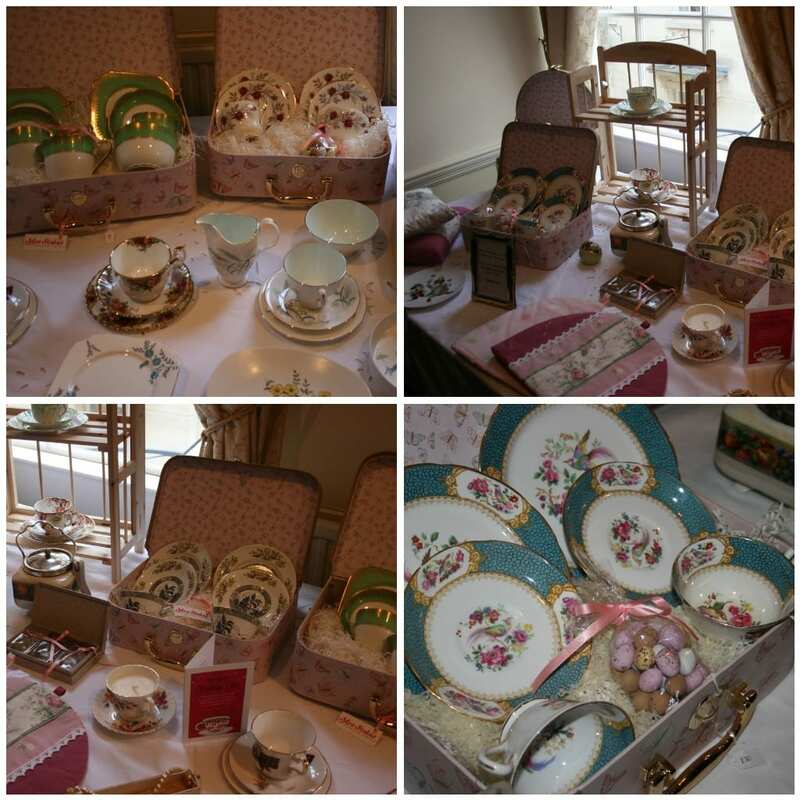 Of course, there were lots of beautiful china sets available for sale – I was very tempted by the green set you can just about see in the top left photo but I would have been happy to have any/all of them! 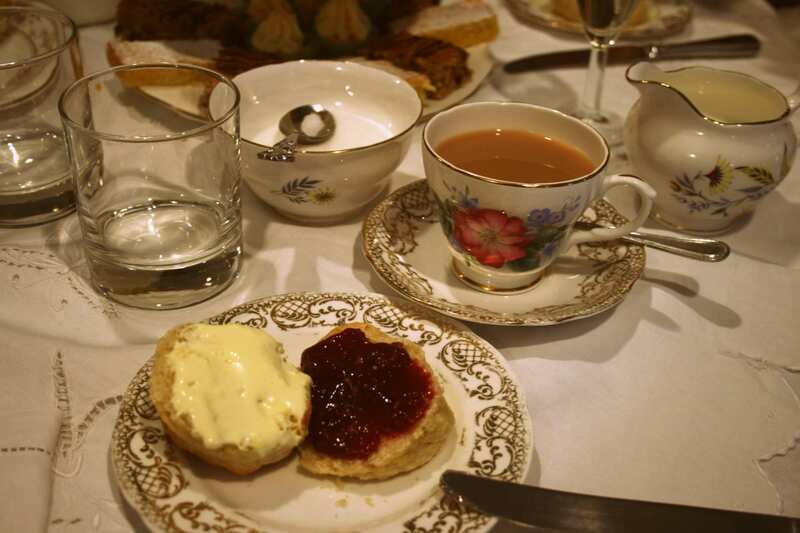 There was only one dilemma on the day – is it clotted cream first, or jam? 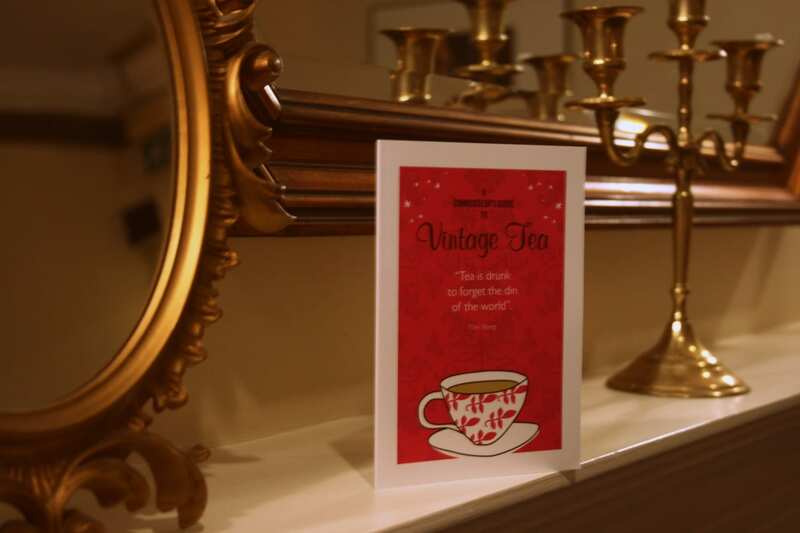 I think the tea parties are going to be a monthly event, but for more info, head over to the Secret Tea Party Facebook page! How can you not like someone who will go on TV and instead of promoting their product, they tell you not to buy it? 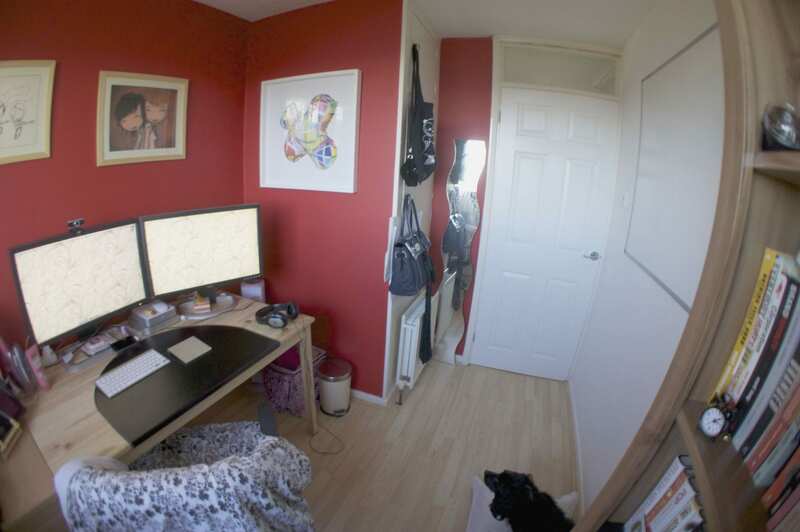 I’m really nosy, and love seeing other peoples workspaces, and I thought that I would share mine with you, because I’ve just moved out of our joint office into the boxroom. 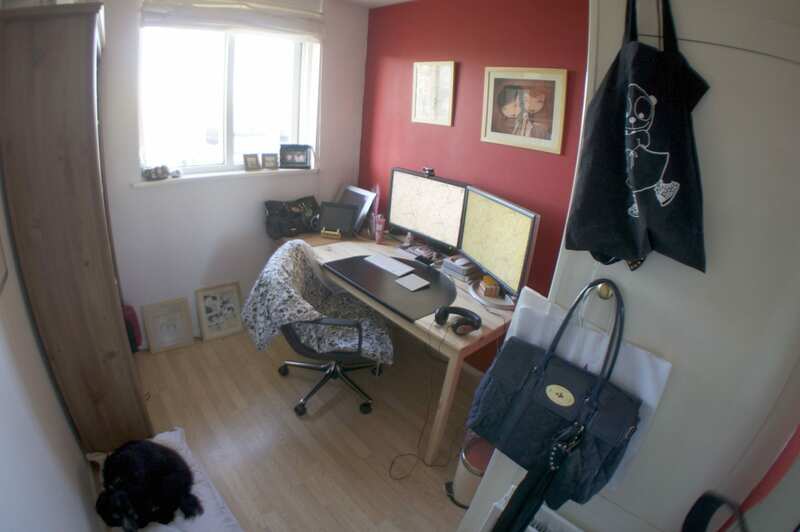 Yes, the dog has her own bed in here (and also some treats on the bookshelf, of course!). 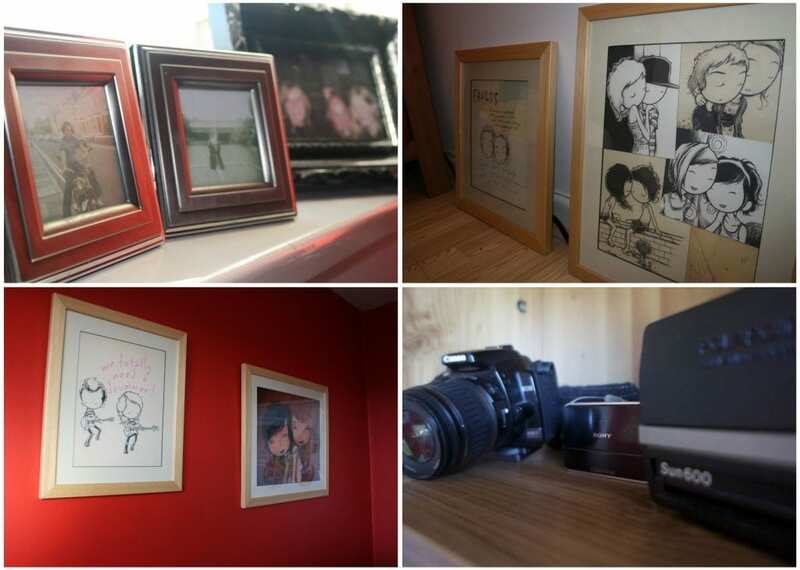 I’ve not really had a chance to decorate it how I’d like yet, but I put up a few pictures that had been lurking in the garage since I moved in (there wasn’t enough space on the walls so I ended up having to prop some up – lets pretend I did that on purpose. 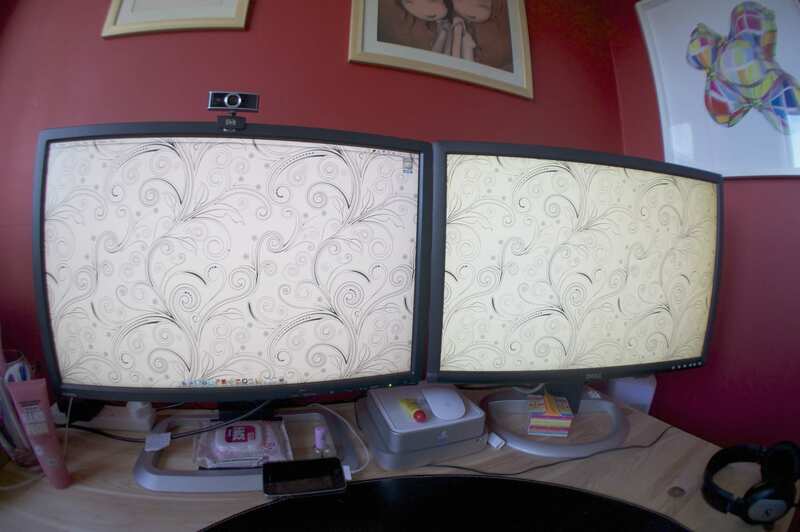 What does your workspace/office/computer area look like?